A couple of weeks ago, Matt and I left a rousing holiday gift exchange the happy recipients of someone else's CSA box. We proudly proceeded to use everything inside, except for four lingering beets. Matt hates beets. So, if they were the lone veggies that had to fall by the proverbial CSA wayside, I was OK with that. But, then I saw this gorgeous magenta galette and decided to take on the challenge, both in the face of Matt's beet-phobia and my poor track record with galettes, or more specifically, with inverting galettes and galette-like dishes from the hot pan onto a platter and then sliding them back onto the pan in order to cook the other side until crisp and brown. But it's a new year, and this time would be different, right? This time, I would use a smaller pan, making two much more manageble-sized galettes instead of one large unruly disc of food. 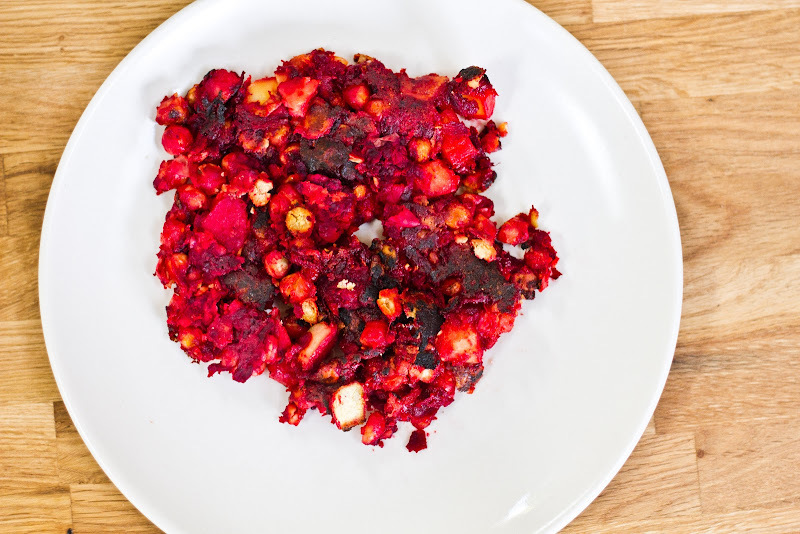 Matt saw what I was up to and was noticeably frowning, so I told him there was "just one lousy beet in the whole recipe—uhm, for color. The rest of it is potatoes, carrots, and chickpeas. And then you top it with lots of cheese. It's going to be great! You'll see!" And then to myself, in a whisper, "You'll see..."
Well. Matt didn't see. He did admit that it "wasn't horrible," but he only had one bite, which isn't very Matt-like. And as you can see below, the transfer didn't go smoothly even with the smaller pan. But all that said, I made this galette on New Year's Day, and it was such a beautiful way to start out the year. It was delicious, healthy, and hearty. 1. 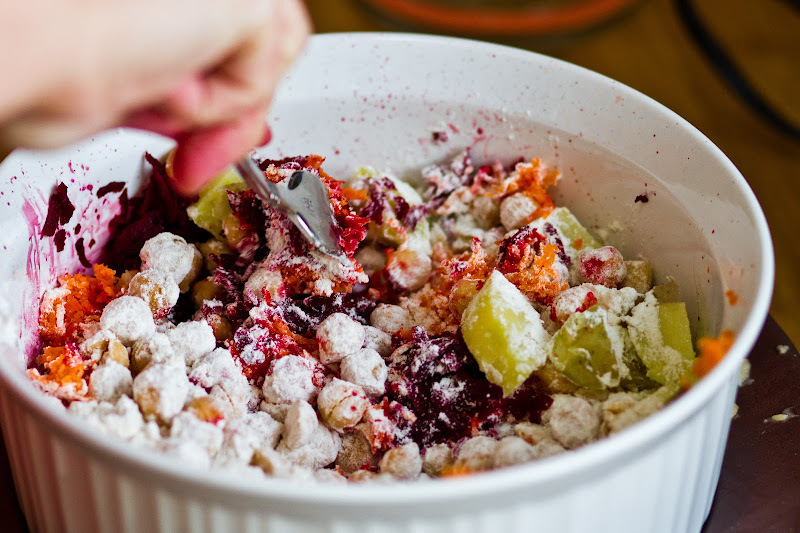 There are three spots left in the food-writing seminar I'm teaching this February. What are you waiting for? Sign up! 2. I'm super excited to be participating in The Rattling Wall's upcoming reading on February 2nd at Skylight books. If you're in Los Angeles, you should come! Books, drinks and me, all red-faced and nervous! OK, now go forth and make galettes! Bring potato to a boil in a pot of salted water. Cook until knife-tender, about 6 minutes; drain. 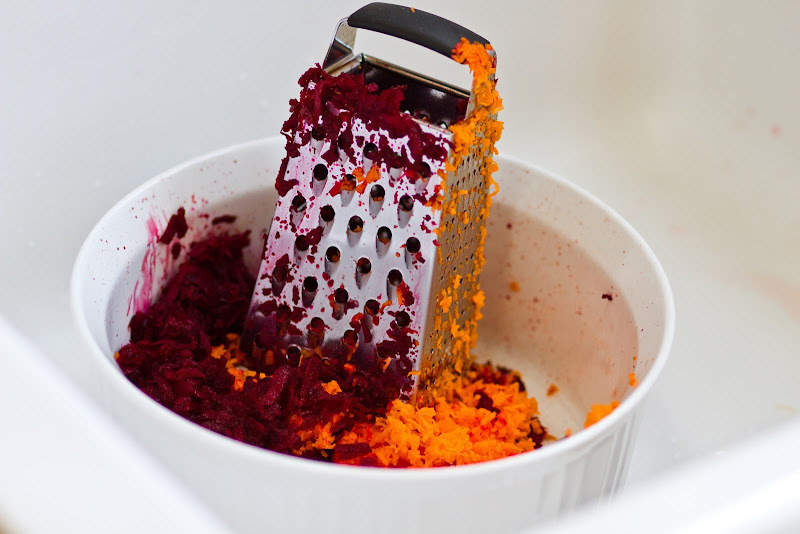 Grate beets and carrots on the large holes of a box grater into a large bowl (or shred in a food processor). Stir in chickpeas, potato, flour, and 1 teaspoon salt. Season with pepper. In a large nonstick straight-sided skillet, heat 1 tablespoon oil over medium heat. 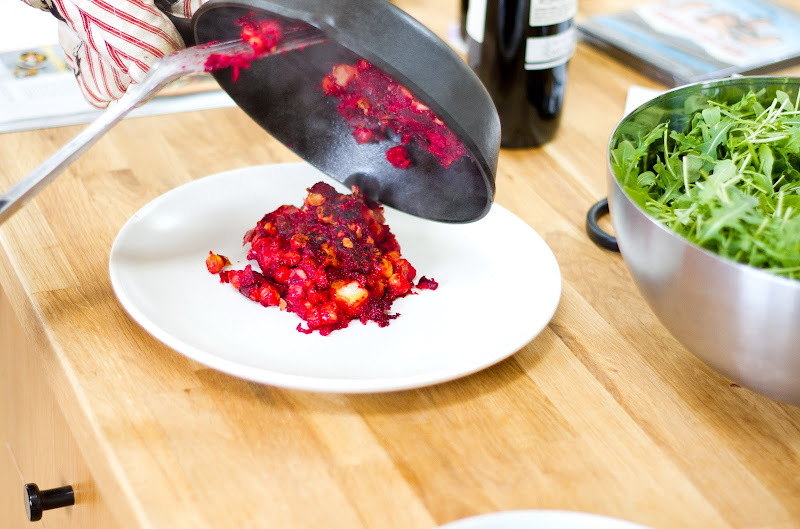 Add beet mixture, and firmly press evenly into pan using a flexible spatula. Cook, undisturbed, 10 minutes. 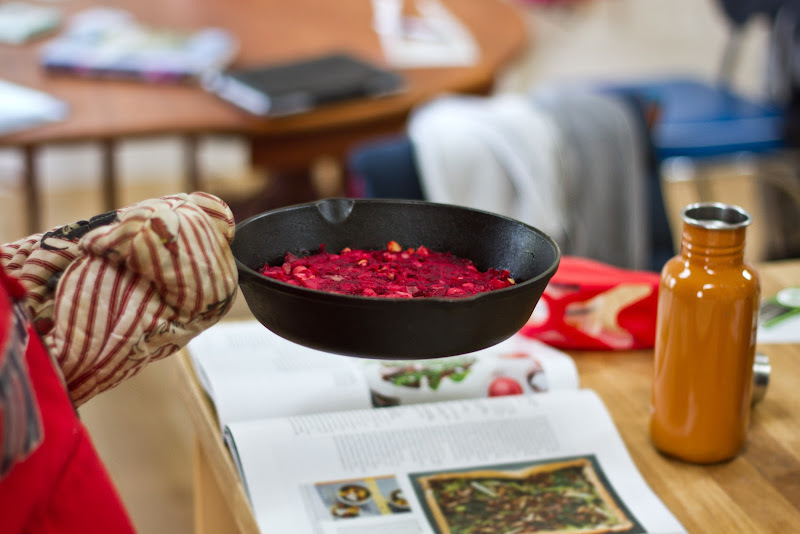 Remove pan from heat, cover with a serving platter, and carefully invert pancake onto platter. (Good luck!!) Slide pancake back into pan, and cook until crisp and brown around edge, 10 to 12 minutes. Invert pancake onto platter. 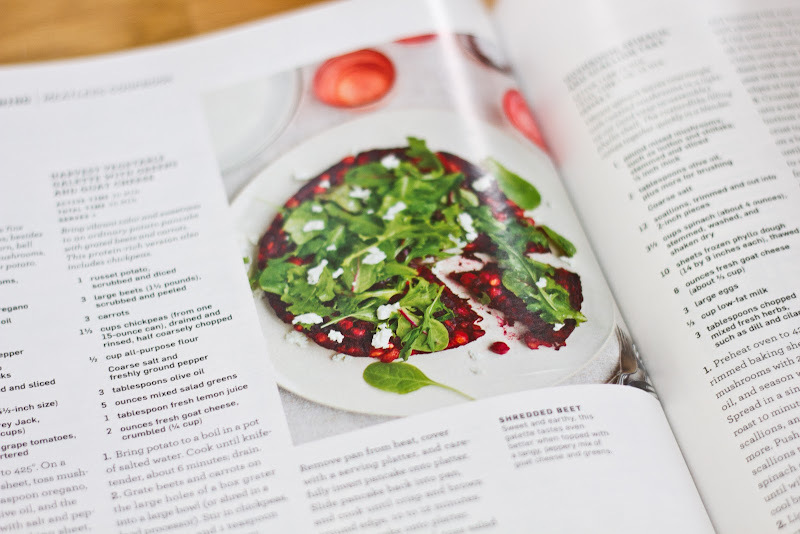 In a medium bowl, toss salad greens with remaining 2 tablespoons oil and the lemon juice. Season with salt and pepper. 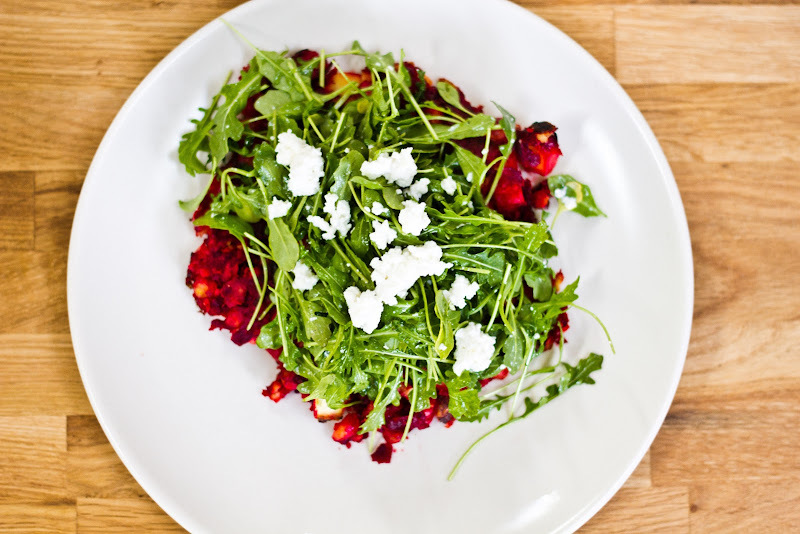 Top pancake with salad and goat cheese, and cut into wedges. 3. Hahaha, "You'll see" !! I LOVE BEETS. I need to try this, even if I don't expect super results, haha. Excuse me, Matt, but you only had one bite and then you rejected the galette. Are you really qualified to be the first commenter? Excellent usage of that CSA box! But alsoooo, I couldn't HELP but notice that your flipping technique didn't quite follow Martha's instructions. Also, do you have superhuman arm strength? How did you hold that cast iron skillet upside down like that with one arm??? oh and also... what the HECK did you do to your grater. ha!! After I posted this, I KNEW I should have explained that, as I had two smaller galettes, I first tried it Martha's way--didnt work, pan was upside down and only pieces of the galette made it onto the plate-- and then tried it *my* way, which of course also didn't work. As for the superhuman arm strength, you know that I held the girls' pull-up record in high school, right? As for the grater, I have no explanations. Looks amazing, even if the flipping didn't work! And love how Matt was the first commenter. Well, hmmm. If I were trying to convert someone over from their hatred of beets, this is not the route I would of chosen. Beets & potato? And chickpeas?? I only understood this unfortunate event when I saw that it was a Martha Stewart recipe. I ADORE beets. In the UK they are a staple that is packaged 3+ ways in the produce section. If I am ever at your house, I will make some for the both of you & Matt will understand. I have also been known to torture the husband with beets. 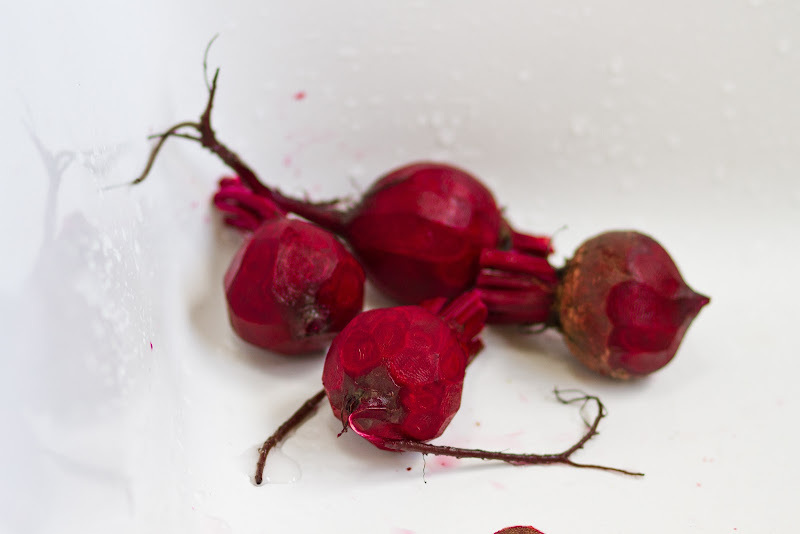 Fun fact: beets are fed to race horses who are in vigorous training. They're probably STILL RUNNING AWAY FROM THE BEETS when they hit the track at Churchill Downs for the Derby. 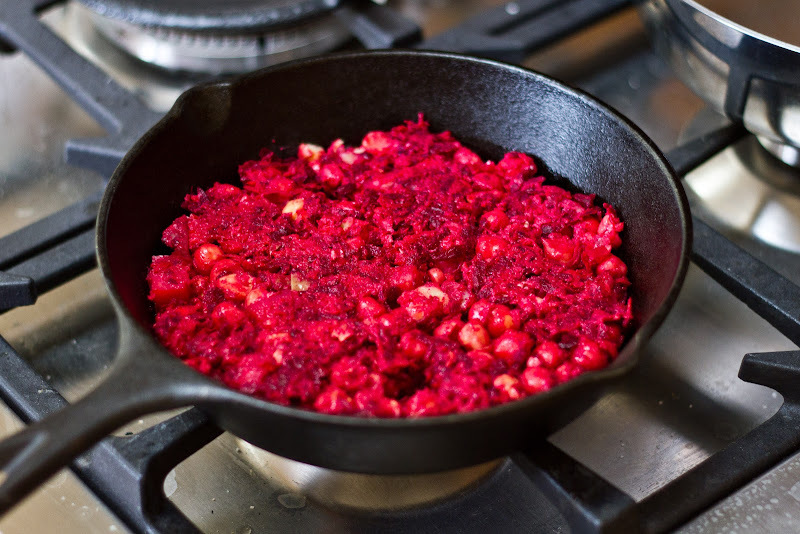 Beets are one of those foods that one either loves or hates. no in between. 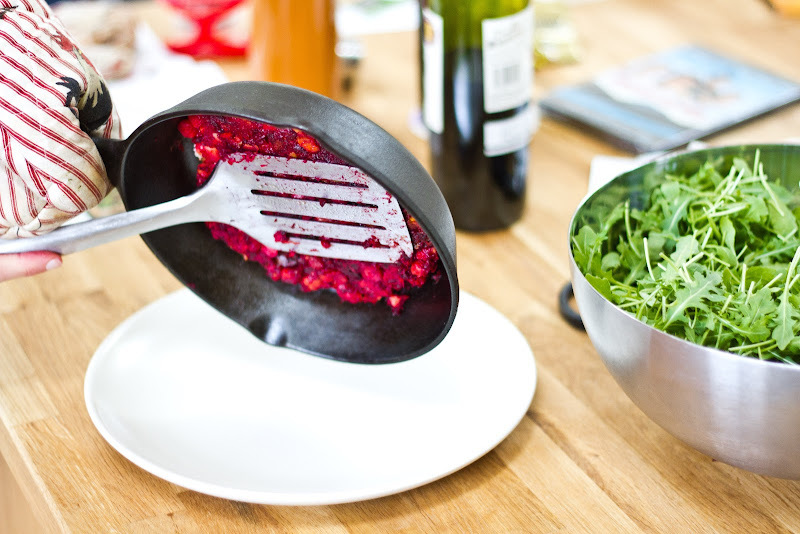 Have you tried putting a plate on top and flipping? Of course you need plenty of oil and the stuff in the pan needs to be sliding around for the duration. I can't make the courses but please continue to announce them here - would love to participate in your blog writing and food writing courses. If nothing works for Matt, try this!